Vatican Library carries 15 printed books on the topic of yoga, including an 1897 edition. Catalogue search reveals titles like “How to know God. The Yoga Aphorisms of Patanjali” (1953), yoga as a healing path, the yoga of faith, spirituality of yoga, etc. Distinguished Hindu statesman Rajan Zed, in a statement in Nevada (USA) today, termed it as a step in the positive direction and a remarkable gesture to make knowledge about multi-beneficial yoga available through the prestigious Vatican Library. 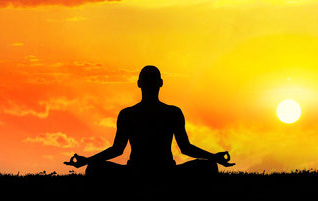 Rajan Zed further said that yoga, although introduced and nourished by Hinduism, was a world heritage and liberation powerhouse to be utilized by all. According to Patanjali who codified it in Yoga Sutra; yoga was a methodical effort to attain perfection, through the control of the different elements of human nature, physical and psychical. Collections of Vatican Library (Biblioteca Apostolica Vaticana) in Vatican City, library of the Holy See, whose traces go back to fourth century; include manuscripts, printed books, coins and medals, archives, graphic materials and art objects. His Excellence Most Reverend Msgr Jean-Louis Bruguès is the librarian of the Holy Roman Church while Msgr Cesare Pasini is the Prefect. It is said to hold about 1.6 million printed books. कब से शुरु हुई शिवलिंग पूजन की परम्परा ?